Bonnet Stripe. 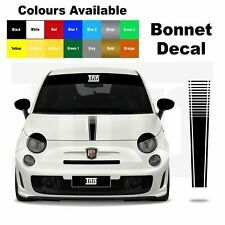 Customise your car with this bonnet decal. Choose from one of the colour options shown above. Included - 1 bonnet decal. Side Stripe. Tiger Stripes. Simply peel the sticker from its backing and hover the sticker over the place you want to apply it. CAR AUDIO FITTING ACCESSORIES. STRIPE WIDTH: 6mm. CASTLE STYLING STRIPES ARE MADE IN ENGLAND USING ONLY THE BEST QUALITY. STYLING STRIPES. CAR COVERS. WHEEL TRIMS. SELF ADHESIVE VINYL. WHEEL & TYRE CARE. Side Stripe Decals. Customise your vehicle with these side decals. Choose from one of the colour options shown above. Included - 2 side decals (left and right pair) 1 free applicator. Stick it down from one side to another and remove the application tape. Side Stripe Decals. Simply peel the sticker from its backing and hover the sticker over the place you want to apply it. Customise your vehicle with these side decals. Choose from one of the colour options shown above. Stripe Decals. Cut the decals to shape and simply peel the sticker from its backing, then hover the sticker over the place you want to apply it. Stick it down from one side to another releasing any air pockets and remove the application tape. Customise your car with these decals. Side Decals x2. Included - 2 side decals 1 free applicator tool. Stick it down from one side to another releasing any air pockets. Simply peel the sticker from its backing and hover the sticker over the place you want to apply it. FITS SWB / LWB. FORD CUSTOM SPORT BONNET STRIPES. WHAT 2 COLOURS YOU WANT. THIS IS A 2 COLOUR DECAL SET. These are T4 T5 T6 Size buy default. A set of side stripe decals to fit the VW transporter. Your Decal stickers will be made using industry standard materials on a professional sign making machine. BMW M Sport style side racing stripes, digitally printed. Over-laminated with clear laminate for protection. Stripes are shown on a 1 series BMW, but we an make them to fit any BMW. 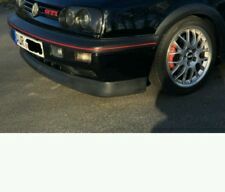 2 x lower cill side racing stripes. Pair of side side stripes, for both sides of the car. Lettering is cut out of the stripe, so cars background colour shows through. We cannot be held responsible for incorrectly or badly installed products. Chrome Detailing Styling Foil Tape Car Stripe Size 10m x 10mm The chrome detailing foil is an ultra thin and very versatile Self-adhesive chrome foil tape that is ideal for detailing mirror Light surrounds bumper recesses grills and vents etc It can be used on the exterior and interior and is supplied with a cutter and squeegee It can be cut and trimmed to shape to be fitted at any angle Allows the installer to achieve a high degree of accuracy . All graphics are backed ready for positioning and application. We include instructions on how to apply your graphics, but if you cant wait, here is a brief guide. Applying your graphics. Chrome Detailing Styling Foil Tape Car Stripe Coachline 10M X 20 Mm Size 20mm x 10m The Chrome Detailing Foil is an ultra thin and very versatile self-adhesive chrome foil tape that is ideal for detailing mirror and light surrounds, bumper recesses, grills and vents etc It can be usedon the exterior and interior and is supplied with a cutter and squeegee It can be cut and trimmed to shape to be fitted at any angle and allows the installer to achieve a high degree of accuracy when installing . Image shown is of the graphics to scale on a 2016 LWB Sprinter. All graphics are backed ready for positioning and application. Applying your graphics. We include instructions on how to apply your graphics, but if you cant wait, here is a brief guide. Pair of side stripes, for both sides of the car. We cannot be held responsible for incorrectly or badly installed products. Eg trapped air bubbles, or if you rip the vinyl. SECOND COLOUR: WHITE. Other colour combinations are available. Nissan X-Trail Vinyl Side Stripes. We include instructions on how to apply your graphics, but if you cant wait, here is a brief guide. Image shown is of the graphics to scale on a 2007 X-Trail - but will fit ANY model ANY age. VW Transporter Vinyl Side Stripes Pair. Image shown is of the graphics to scale on a 2017 T6 Kombi SWB. We include instructions on how to apply your graphics, but if you cant wait, here is a brief guide. A set of side stripe decals to fit the VW Caddy. We only use the highest grade vinyls 7-9 vinyls to produce decals and graphics. We include simple instructions with every order. This is a one colour graphic so your vehicle colour will be the background. Pair of digitally printed side stripes, for both sides of the car (3 pieces per side). 3 colour design - RED, DARK BLUE & LIGHT BLUE - will suit all colour cars. We cannot be held responsible for incorrectly or badly installed products. Front Grill stickers -. Size: 20 x 0.5cm / 7.87" x 0.79". M Sport Stickers. Color: Navy, Red and Light Blue. Looking for something original and different for your Abarth? If so, these stylish wing stripes are just why you need! We use only the best vinyl, which makes these decals quick and easy to fit. 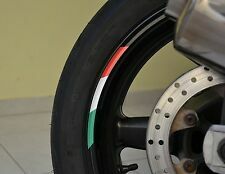 In this listing you are purchasing a pair (1 for each side) of carbon fibre style wing stripes. If you are looking for another colour, please see my other listings. Alternatively if you are looking for a colour not listed, feel free to message me to discuss your requirements. All items sent our Royal Mail first class. Replica Decals OEM Sizes. All Decals supplied pictured. AMG logo and Black Back Ground is Made out of ABS. Complete with two screw grip on the reverse side. Our team are here to serve and aim at providing best service for you. Instructions: not included. Vauxhall Adam Vinyl Bonnet Stripe. Image shown is of the graphics to scale on a late model Adam - but will fit ANY model ANY age. All graphics are backed ready for positioning and application. Applying your graphics. 2 Tribal Stickers in Gloss Black These are sided for either side of your vehicle. FUNNY STICKERS. Applying them is an easy and straightforward process. All stickers are weather & water proof, using non-fade colours to provide a lasting effect. VW Volkswagen CADDY SWAGE LINES ( MK1 PICKUP)IN Matt Black self adhesive vinyl. Easy to apply self adhesive stripes which fit along the panel length as shown. simply peel from backing and stick, ensure area is clean prior to sticking, high grade quality vinyl. These stripes will fit any make and model of car, vans and bikes, just cut to desired length and space as you desire. I only use top quality vinyl and the expected outdoor durability is 5-7 years. East Coast Vinyl Signs. Fit for BMW F16 F86 X6 SUV. One Pair Side Skirt Decals Vinyl Sticker (matt black color). One Pair M Performance Logo Sticker. Made of high quality vinyl (matt black color) with logo. Pre-cut to the shape of OEM style as in picture. SUITABLE FOR COACH LINE, PIN STRIPE, CAR SIDE. These stripes are supplied in High Grade, Self Adhesive, Exterior Vinyl. All of our decals are available in a range of colours. MATT BLACK SUN STRIP. Trim the sun strip to suit your windscreen. Made from high quality, waterproof vinyl material for a long lasting life. Vinyl is designed to last several years. Mini one/cooper/JCW Style bonnet stripes. All of our decals are available in a range of colours. 2 Stripes flowers Stickers in Red These are sided for either side of your vehicle. FUNNY STICKERS. Applying them is an easy and straightforward process. All stickers are weather & water proof, using non-fade colours to provide a lasting effect. 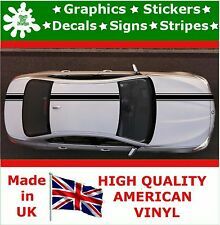 VW Volkswagen..T4..T5..Transporter..Caddy Van ..Stripe Set.. Vinyl Decals..
VW Volkswagen Transporter Caddy Van. Stripe Set. T4 T5 Vinyl Decals. arrives safe,and is classed as a parcel. Front.1000mm x 150mm. Mini GT 1499 Special Edition Style side stripes. All of our decals are available in a range of colours. 1x 6" Hood Stripe Auto Graphic decal Vinyl car truck body racing stripe universal. Type:Door decal, Body Decal, Hood Decal, Racing Stripes, Tailgate Decal, Window Decal. Just peel off the backing, apply decal to smooth, clean surface, press firmly on decal, then remove transfer tape. You can apply to seal the front and back covers, which performs good in waterproof, dustproof and soundproof. Length: 4M. Product list: 4M P type car seal. 2, the sealing strip with a double-sided adhesive tape. Single styling stripe Self adhesive Simple to use Ideal to decorate your car Full instructions included Colour: Red Size: 6mm x 10m . Ford Ranger Vinyl stickers 4X4. We include instructions on how to apply your graphics, but if you cant wait, here is a brief guide. Image shown is of the graphics to scale on a 2017 Doublecab- But will fit ANY model ANY age. Volvo R design side stripes. All of our decals are available in a range of colours. 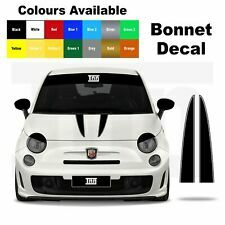 X1 set of Fiat 500 Abarth side stripes. These stripes are handed, so you will receive the drivers side and passenger side. These are manufactured in 7 year exterior grade gloss vinyl. colours available in. BMW M-Series (M Power / M Sport) bonnet / hood racing stripe graphics, digitally printed. 2 x 150mm to 250mm wide BMW M Sport style bonnet / hood racing stripe. Trimming required around headlights and edge of bonnet. S TYLING STRIPE 3mm x 10m. 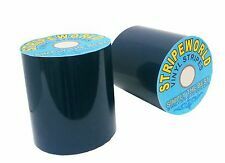 Self adhesive styling stripe to improve the exterior look of your car. This may have a cumulative effect throughout the week. BE LIKE WATER MY FRIEND.